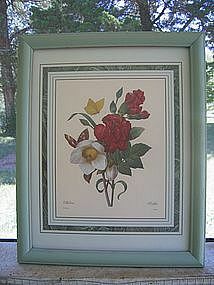 Vintage Redoute print featuring a hellebore and carnations. This print is dated 1985. The wooden frame measures 15 1/2 x 12 1/2 inches. There is minor wear to the frame. I need your zip code to calculate the postage.